I’ll be on the air from my cabin here in Vermont. Hope to CU there!!! 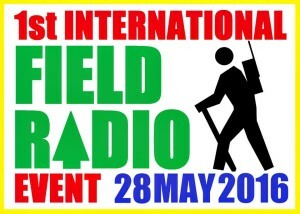 The Field Radio group will be holding its inaugural International Field Radio Event in late May, 2016. Please note this is an activity and not a contest! Here is your opportunity to interact with fellow group members on air, so please support us in this fun activity.